As you may well know, As If By Magic is out. You can buy it for your UK Kindle here for £1.59 or your international Kindle here for $2.99. 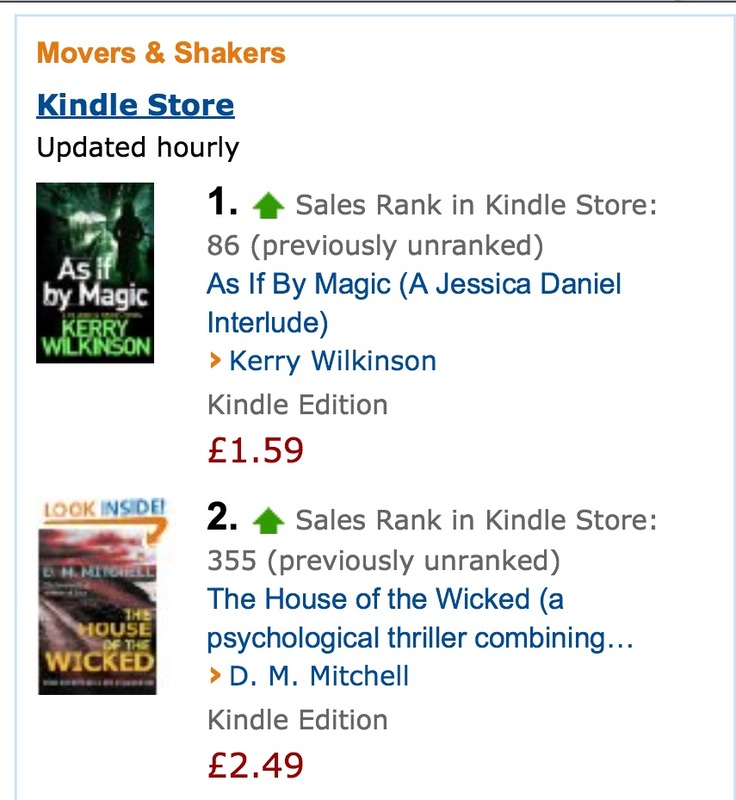 Yesterday, it was Amazon UK’s No.1 “Mover And Shaker” – basically meaning it was their highest new entry. It went straight into the top-50 books overall and the top 15 crime chart. All with zero marketing budget, no pre-orders and promotion only through here and Facebook. So this is a very big “thank you” to anyone reading this for continuing to support the character and myself. Launching a book is very hard anyway, let alone when you’ve not brought anything out in eight months – and you’re working full-time too. Essentially, despite any stories you might read about me, this still comes down to me sitting on my sofa with a little netbook and writing every day. The fact you keep returning to buy my stuff is constantly and magnificently humbling.